David Wojnarowicz	| Viva Carlo! Viva Libertad! 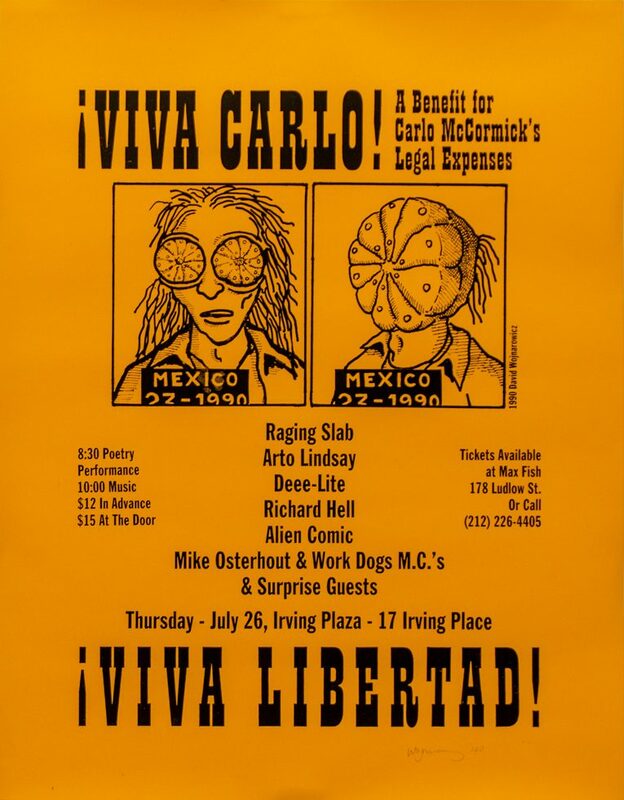 “Viva Carlo Viva Libertad!” is a poster created by David Wojnarowicz to help raise legal-defense funds for art critic, curator, and downtown habitué Carlo McCormick after an unfortunate misunderstanding with the Mexican Policía Federa (also known by the slang term “federales”). Included in the festive gathering were such 1980s East Village luminaries as Dee-Lite, Raging Slab, Richard Hell, Alien Comic, Mike Osterhout & Working Dogs M.C.s.